Today we’re going to talk about Kitakami. Not the Kitakami mountains (the ILC candidate site), nor the Kitakami river. The OTHER Kitakami: Kitakami City! Kitakami is a small city about an hour north of the ILC candidate site, with a large manufacturing base and a shinkansen station. It also has something super cool – a museum dedicated to ONI. An oni is a figure in Japanese folklore that resembles a supernatural ogre or demon. Legends of these human-like hulks abound throughout the country, and each region has their own kinds of oni and oni legends. Typically, oni are depicted as angry red ogres with horns on their heads (and maybe a loincloth with tiger stripes). These demons come from the underworld to torment humans, along with other Japanese folk monsters like yokai and mamono. 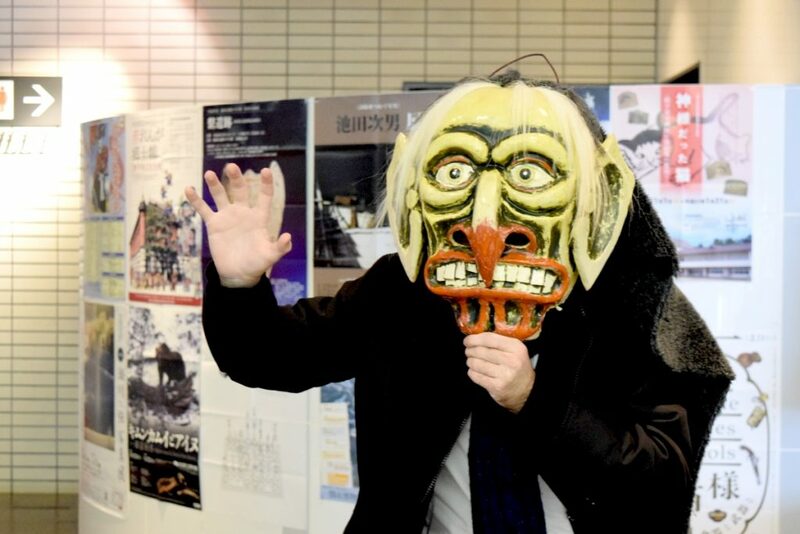 Oni have actually been in the news recently as the Raiho-shin (Visiting Deities) were recognized by UNESCO as Intangible Cultural Heritage in 2018. People dress up as these oni and visit houses around the neighborhood, to bring good luck to families. 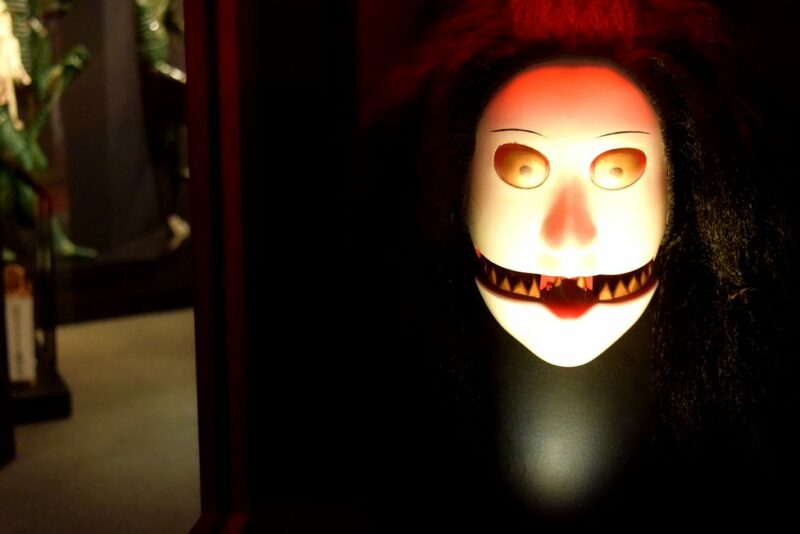 They also tend to scare the children into being good little boys and girls, which is perhaps analogous to Krampus scaring naughty children during the Christmas season in central Europe. 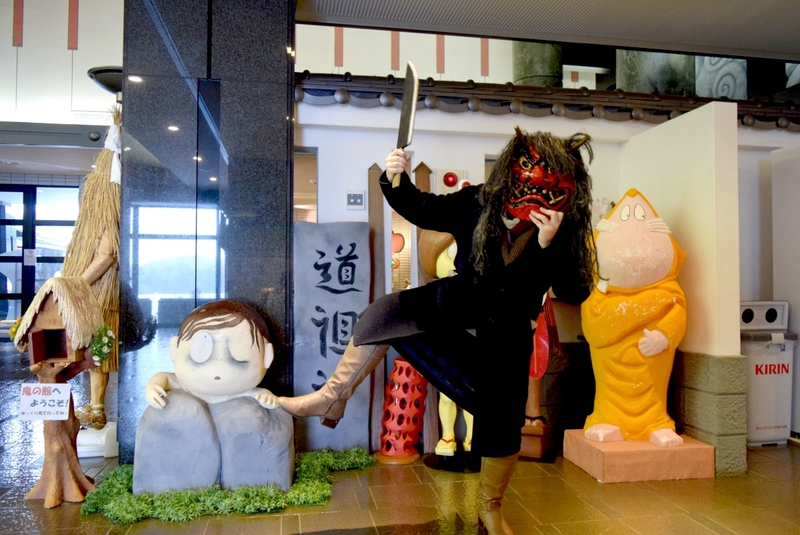 Oni are particularly celebrated in Kitakami. 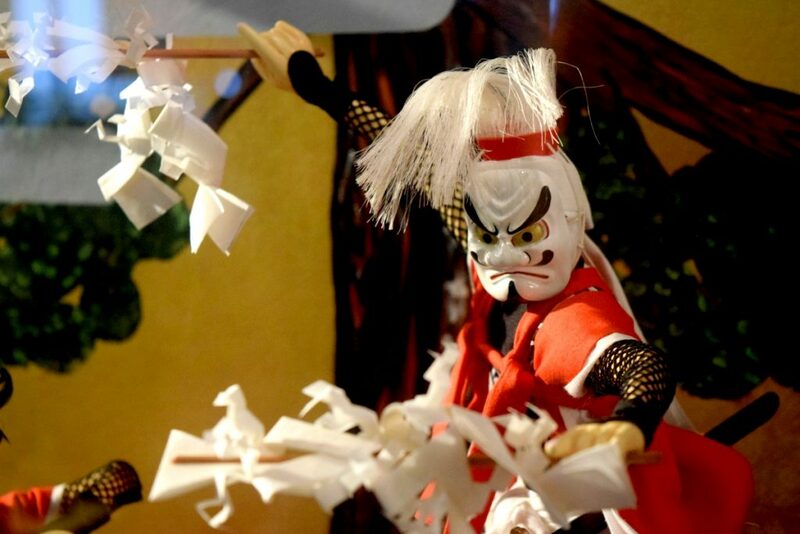 The city has long been home to a type of folk performance called “Onikenbai” consisting of flutes, drums, and people dancing in red demon masks. 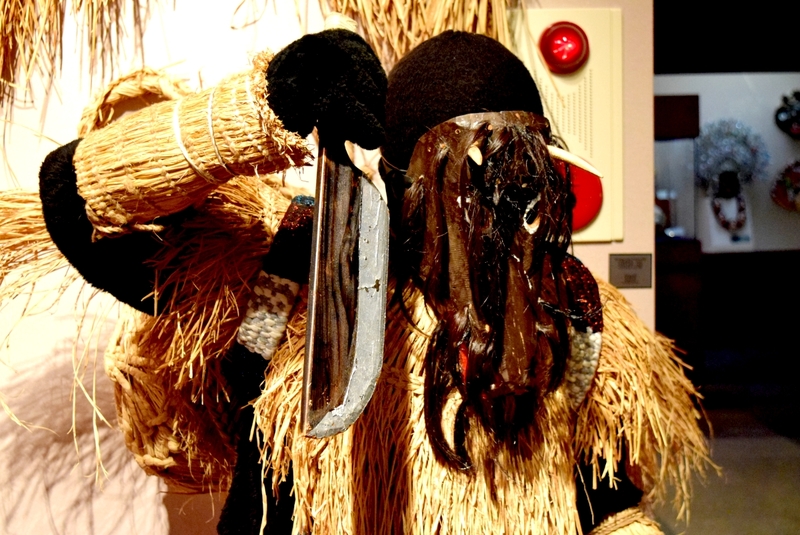 Onikenbai, or Devil’s Sword Dance, has been designated an Important Intangible Folk Cultural Property by the national government, and has deep roots in the community. 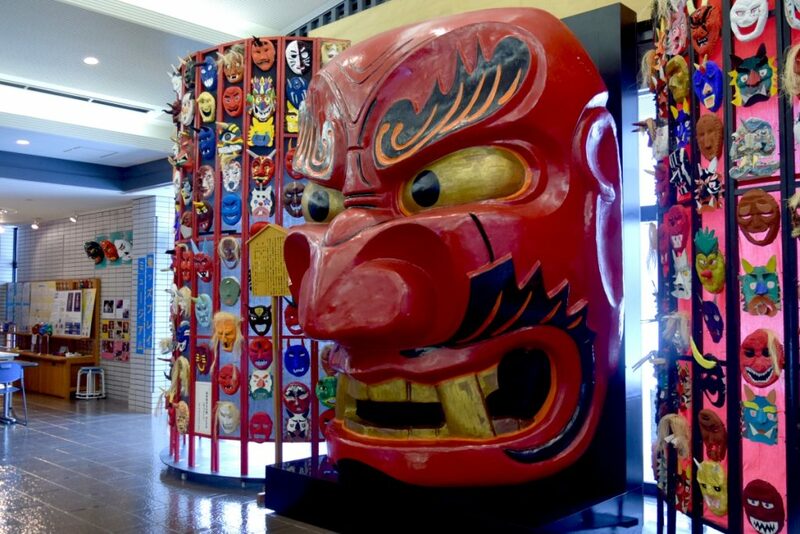 Because of this tradition, a museum was built in Kitakami to teach about oni in all their forms around the world. 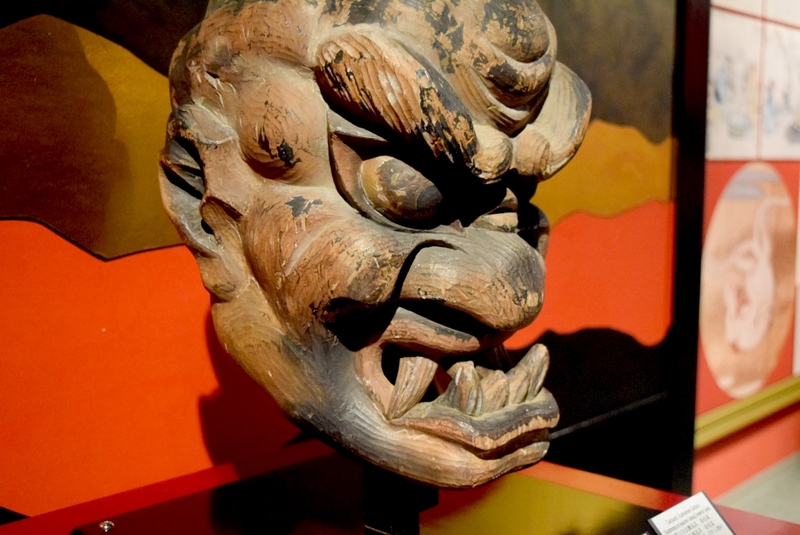 Welcome to the Oni-no-Yakata (Oni Museum)! 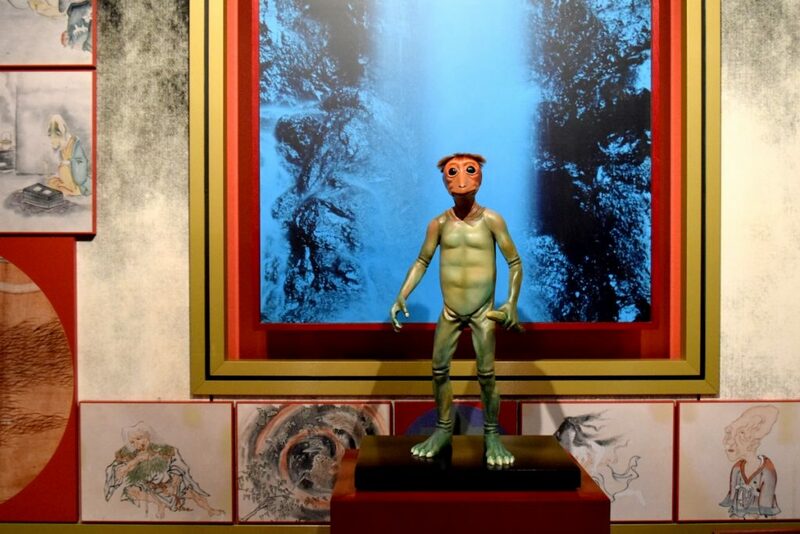 After you enter the museum, you’re greeted by this guy! I basically only came up to his nose. I love the warmth of this smooth, hand-carved surface (nice underbite, too). The nose was so long it messed up my camera’s focus. 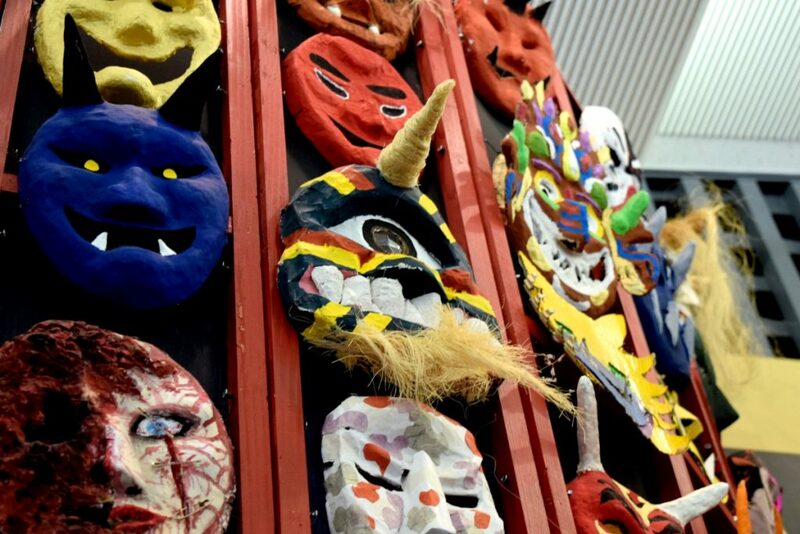 There are Oni festivals throughout Japan. Kitakami’s festival is called the Michinoku Kitakami Geino Matsuri, and typically falls on the first weekend of August. 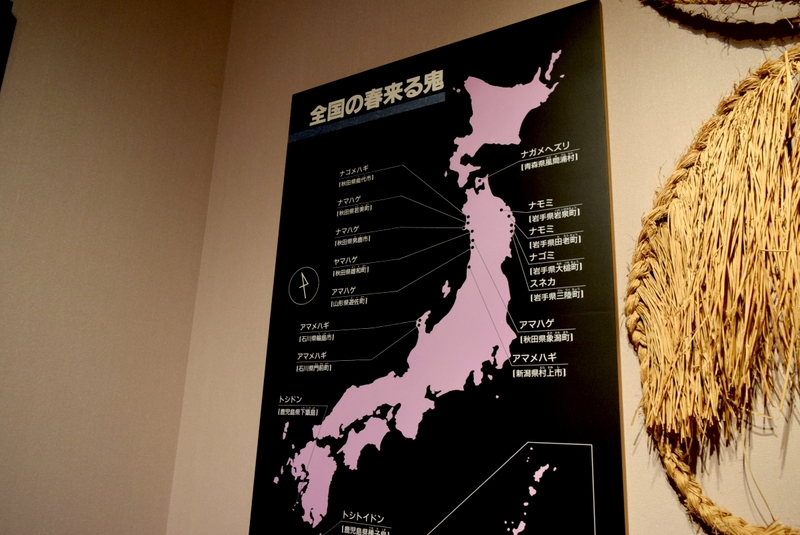 These types of oni, recently recognized by UNESCO, can be found throughout Japan as seen by this map. 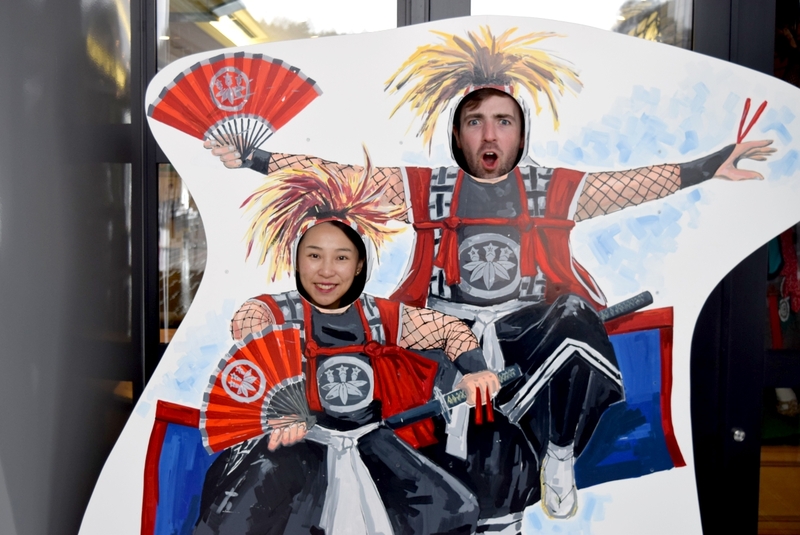 Here is a type of Raiho-shin called Suneka, from Ofunato on the southern coast of Iwate. 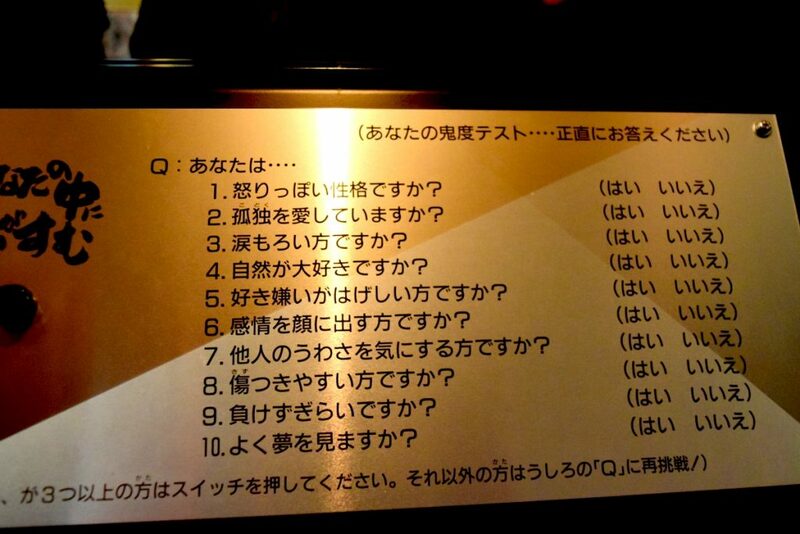 Fun fact: The Ofunato Tourism Association Twitter likes to tag these guys with #みんなのトラウマ (“the trauma we all share”). It’s me! 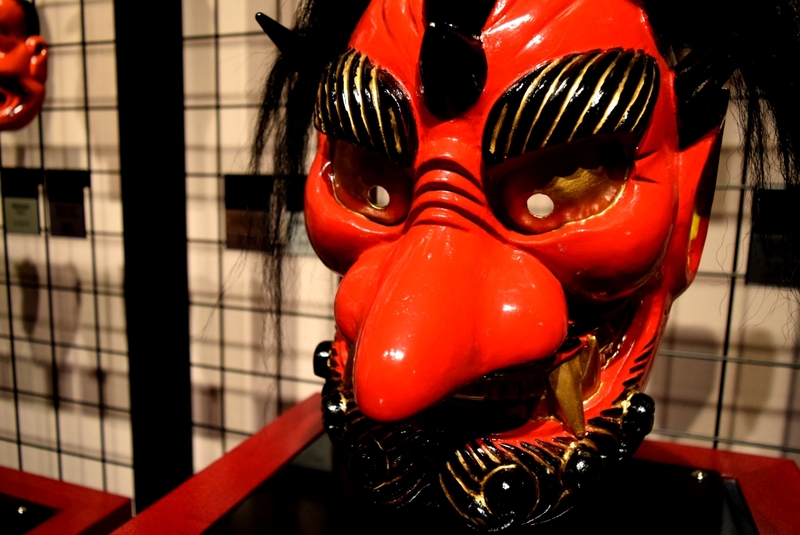 As a Namahage, the most famous type of visiting oni. 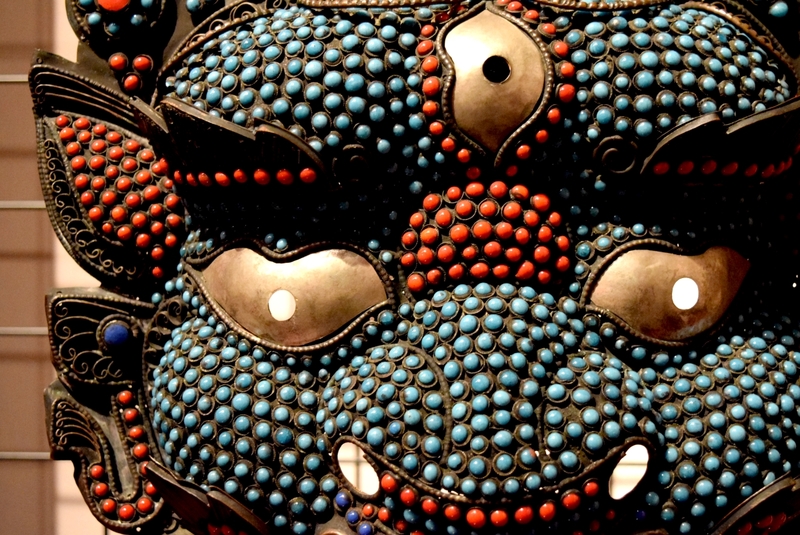 These demons are found on the Oga peninsula in Akita Prefecture (next door to Iwate). 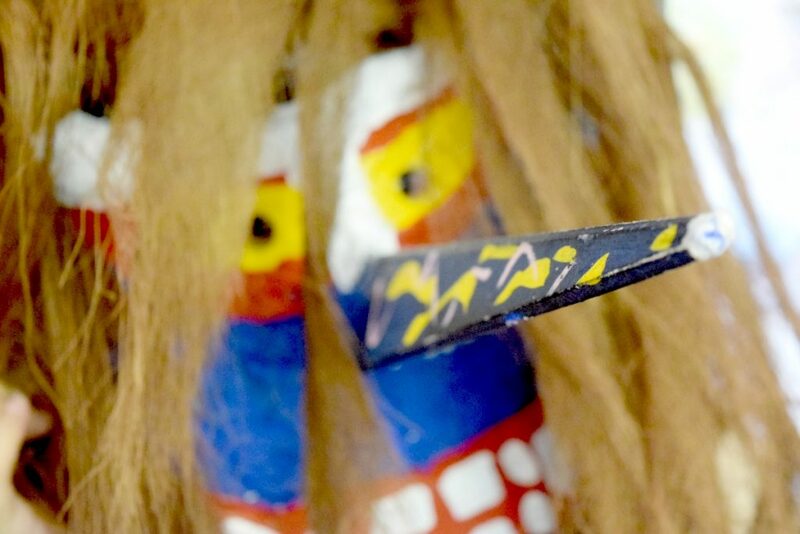 An Onikenbai figure. Local residents dress up in these costumes to perform amazing dances. 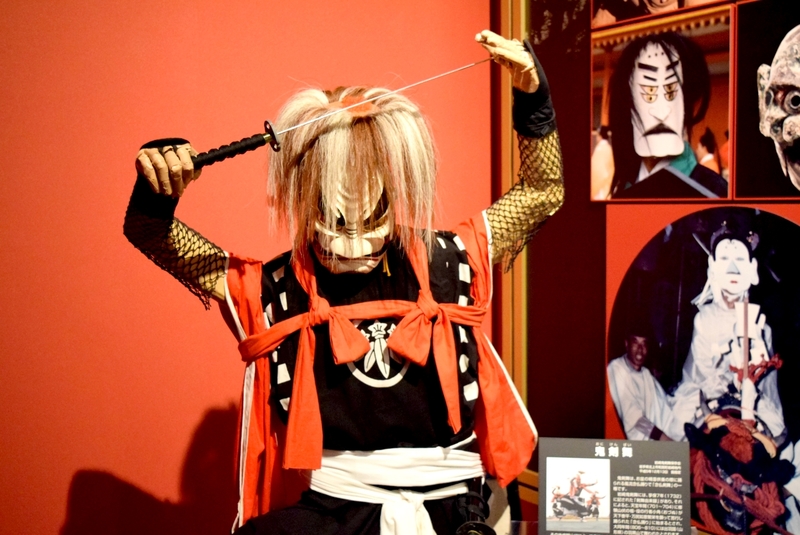 Life-size onikenbai with a sword. More than 3 yesses, and you’re officially an oni (welcome to the club!!). 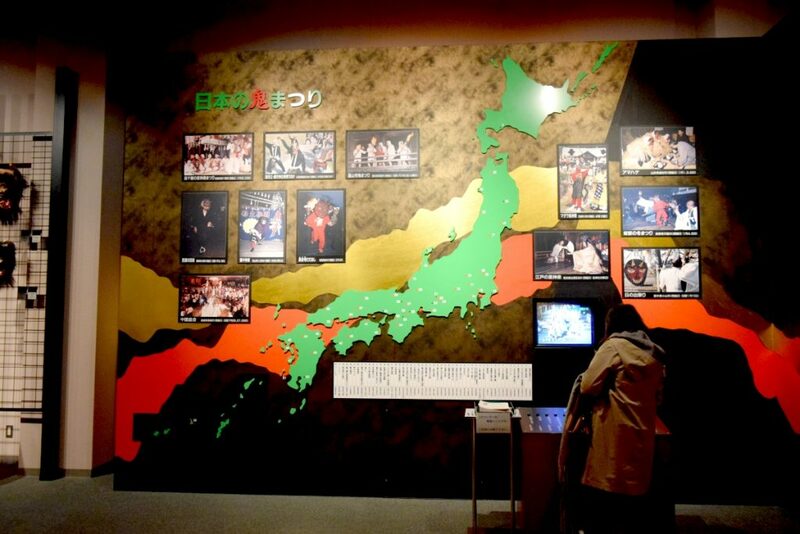 If you’re in the area for the ILC, you’ll definitely want to make the trip to Kitakami City for this unique little museum! First, get to Kitakami Station, which is accessible by both shinkansen train and the local JR Tohoku Honsen line. 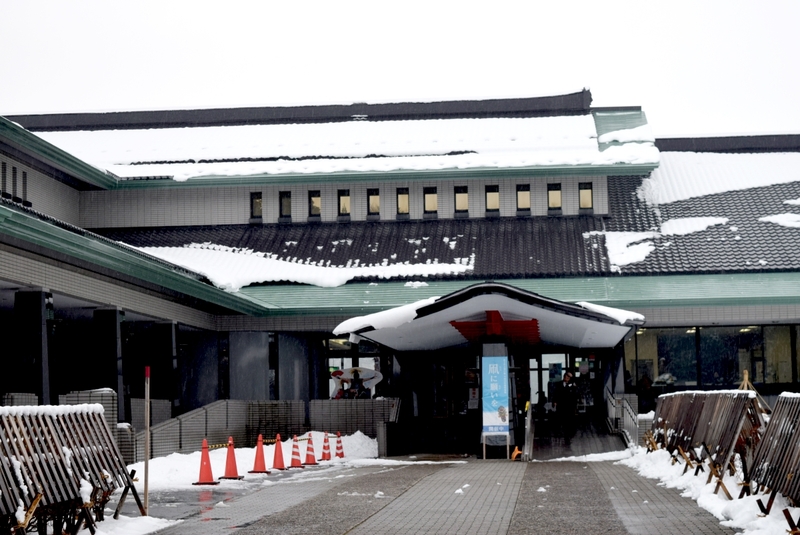 Take a taxi directly from Kitakami Station to the museum. Or you could transfer to the Hotto-Yuda Line, and go to Ezuriko Station, and take a taxi from there (which is a bit closer). From the Tohoku Expressway, get off at the Kitakami-Ezuriko IC exit. The museum is about 15 minutes away (plenty of free parking available).